The duo that scaled the 2nd tallest building in the world (see and ) are back, sharing a recent stunt they pulled in Hong Kong. 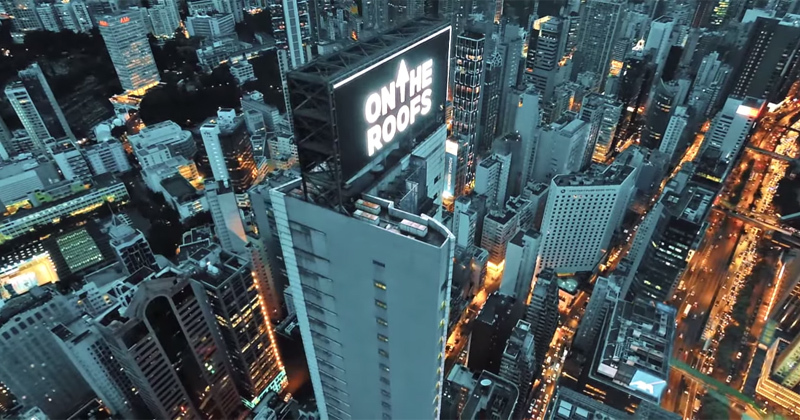 Not only did they scale a skyscraper in the heart of Hong Kong, but they managed to ‘alter’ the massive billboard that sits atop the roof to share a nice message with the citizens below. For more rooftopping madness, check out On the Roofs.